Tai Chi Principle #1: Elevate the crown and lift the spirit. This means that the head should be upright so the Shen or (spirit) can reach the top of your head. We don’t use Li (force), or the neck will be too stiff and the chi (breath) and blood cannot flow through to the head. (always remember that stiffness is the discipline of death) The feeling in your body should be light, buoyant, and natural . For Health: By lifting the crown of the head (GV-20 Bai Hui) we align the cervical vertebrae in the neck and spine opening the blood flow traveling in and out of the brain. This allows us to think more clearly and move with ease. The Crown point is roughly where the tips of the ears intersect on the top of the head. This principle should feel very natural. The head and neck should feel very light and empty. When the neck is straight and empty, with the head effortlessly floating above the neck, one often finds relief of pain as well as a feeling of weightlessness. Improved blood and fluid circulation up and down the neck and in and out of the head. is often found with this feeling. Good fluid circulation is necessary to maintain good health. Interesting new fact: Science is now discovering that our brain has a system of lymphatic vessels located in the dura mater, the covering of the brain. The major arteries and veins that are within the dura mater contain a lymphatic system that the brain uses together with the Immune system to get rid of waste from the head. (see video below). This is essentially Drain Pipes in Our Brains. 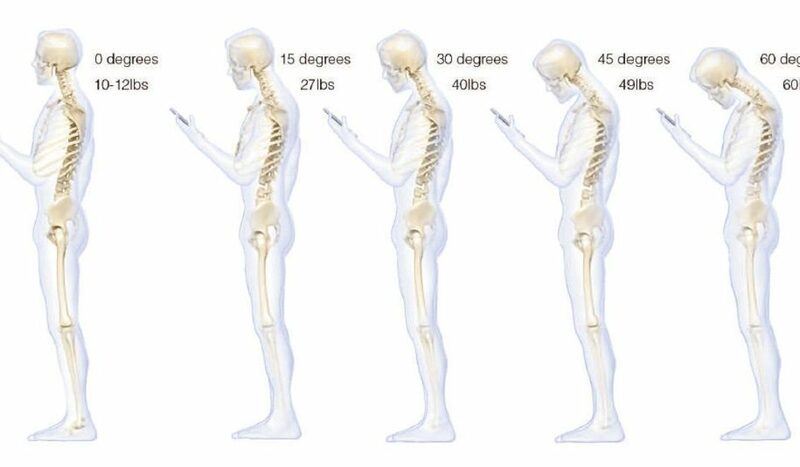 Unfortunately, so many people have bad posture, allowing the neck to push forward (computer/ or chicken neck), upward (showing the throat) or downward (low spirit or cell phone neck). This constricts the flow of blood going in and out of the brain and prevents the alignment needed for health and power. The picture to the left is Grandmaster Wei Shuren demonstrating correct neck posture. In Tai Chi one of the first things we learn is to keep this alignment in each and every movement, and not only while doing our Tai Chi forms, but we take it with us into our everyday lives. Many Tai Chi players have discovered that while practicing Elevating the Crown and Lifting the Spirit they have experienced clearer thinking, they are much more alert and aware, they experience better sleep, and feel happier overall. Is this just a coincidence? Or is this 1st Tai Chi principle assisting the brain in eliminating waste through this newly found lymphatic system? For Martial Arts: When the Shen (spirit) is high, we are aware of our surroundings and can respond quickly. This is possible through raising the crown and lifting the spirit. In the animal kingdom, a predator will choose its prey by whether or not they are paying attention. If not, they can easily be separated from the group. And yes, other reasons do factor in, but this is a very important part. It’s not any different with humans. Criminals often look for weak, unaware individuals, and they will always choose the easy target. By lifting our crown and raising our spirit, we change our level of awareness. This is essential in martial arts, because you can’t win if your fighting spirit is low. This is the first principle mentioned in the 13 Essential Principles of Yang Chengfu, and for good reason. When practicing boxing, the crown should be gently lifted, the chin should be slightly down and in, keeping the neck against the back of your collar. This raises the crown and greatly reduces the chance of getting a neck or head injury if hit. 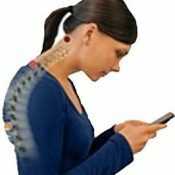 This posture also protects the neck while straightening the spine, increasing power, lightness, and agility in the body. The video below is Dr. Daniel S. Reich, Ph.D., M.D., discussing how his team discovered that our brains may drain waste through lymphatic vessels, the body’s sewer system. In future blogs we will discuss each of the the 13 essential principles and how they are used to create better health and more power. 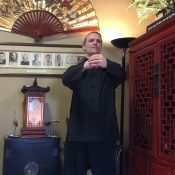 All classes are taught by Sifu Michael Paler, 7th Generation Lineage Holder of Imperial Yang Family Tai Chi. Sifu Michael has been teaching Tai Chi Chuan for over 20 years. In addition to owning and teaching full time at his Colorado Springs school, the Tai Chi Association of Colorado Springs, he also offers a complete online curriculum, which is perfect for beginners and long-distance students. Sifu Michael is also involved in teaching at the US Olympic Training Site, where he helps the athletes use their bodies more effectively by incorporating the above Tai Chi principles. Feature / Header photo by DR. KENNETH HANSRAJ/SURGICAL TECHNOLOGY INTERNATIONAL (see his article here). Gratefully impressed with the current use of valid and applicable information to the field of Tai Chi. Thank you for sharing contributions that enrich our understanding. It is the first rule, it is of prime importance and would be explained and understood with the concepts of Traditional Chinese Medicine: meridians, qi, yin, yang. But with another cultural formation, Dr Reich’s approach is more affordable. Gratamente impresionado con el uso tan actual de información válida y aplicable al campo del Tai Chi. Muchas gracias por compartir aportaciones que enriquecen nuestro entendimiento. Es la primera regla, es de primordial importancia y estaria explicada y comprendida con los conceptos de la Medicina Tradicional China: los meridianos, el qi, el yin, el yang. Pero, con otra formación cultural, nos es más asequible el planteamiento del Dr Reich. Also gratefully impressed with the information. I sincerely believe that Tai Chi Chuan is one of the best thing which helped change my daily life. Thank you, Marie L.
This is SO incredible helpful! Thank you very much.